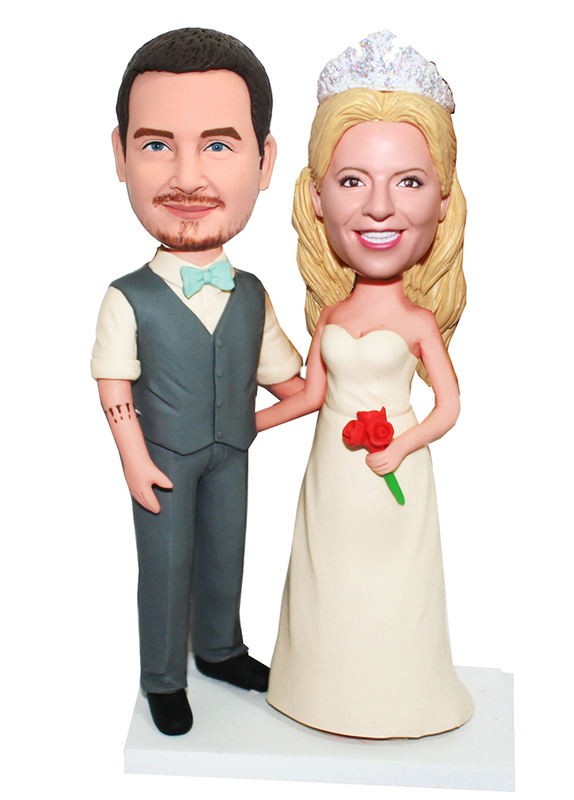 groom in this custom wedding couple bobblehead doll are wearing retro wedding attire. With a shining dimond crown on bride's head and roses clutching on her left hand, she is most graceful and happy wife in the world. 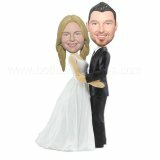 Customized bobblehead perfect to be wedding cake topper of young new couples. The handsome groom and elegant bride makes it great gift for the big event and ideal keepsake for the coming years.